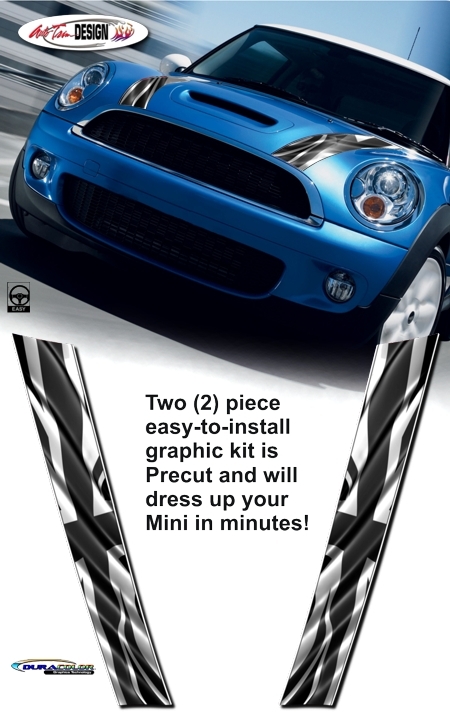 Make your '01-Current Mini Cooper stand out from the rest of the pack with this unique easy-to-install waving Black Jack Flag Hood Graphic Kit. Digitally printed with our DuraCOLOR graphic technology with a high definition image, kit is manufactured with premium automotive grade vinyl film materials. Flag design features a fine Black outline with White trim at each side. As a further step, graphic is covered with a 2.5 mil clear laminate which provides protection from miles of abuse.